If you can email digital photos taken with your digital camera, then learning to share them online will be a cinch! Sharing your digital memories with family and friends online is easier than sending out an e-mail. There are many sites that allow users to store and share photos with friends and family from a centralized location. Simply upload your files to and the service of your choice and let your friends and family know how to access them. Some popular photo sharing web sites even allow users to order prints. For a small fee, you and your friends and family can order prints of digital pictures in various sizes and have them conveniently shipped directly to their doorstep. 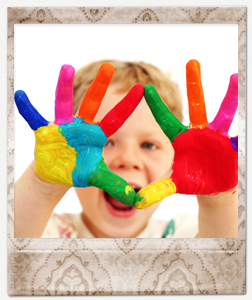 Some sites even have photo-editing software that will allow you to “touch up” your photos before they are printed. The most important part of sharing your photos online is making sure that you have an enthusiastic group of people ready to help make your photos the best that they can be! After you get your group together and take your pictures, transfer the picture files to your computer. Make sure to save them to an easy-to-find location so you can get to them later. Follow the prompts on the photo sharing web site of your choice. Make sure to read the instructions carefully and set the privacy limits on your pictures to make them viewable by either the public or only a select few. Most photo sharing sites allow users to notify friends and family that pictures are ready to be viewed via e-mail. Enter in the e-mail addresses of everyone you know so they can enjoy looking at your pictures as much as you enjoyed creating them! Shutterfly: When you become a registered Shutterfly user, you will receive free online photo storage and sharing, as well as free software to help you organize and edit your photos for printing and sharing. Kodak Easy Share Gallery: Your Kodak Easy Share Gallery membership allows you to share your photos by emailing a link to a slideshow. While viewing your slideshow, your friends and family can add comments and order prints. Flickr: Sign up for Flickr and you can share your photos securely with only selected friends and family or share them with the world. Your photos can be viewed on the Flickr web site, by RSS feed by email or through a blog. Webshots: This site offers a free membership plan that allows you to create your own homepage and store more than 1000 photos. A premium membership plan allows you store more than 5000 photos. Smug Mug: This service was founded by a father-son team and quickly expanded to include most of the family. SmugMug is an ad-free, spam-free site that stores and backs up your digital photos in three secure data centers across the U.S.
Snapfish: A division of HP, Snapfish offers professionally developed prints, film developing, free online photo sharing, unlimited online photo storage, a home video sharing service, community-based Group Rooms, free editing tools and software, wireless imaging services, and customizable photo products ranging from a comprehensive photo book line and calendars, mugs and mousepads, to boxer shorts, dog leashes and teddy bears. For information on how digital cameras work, or to learn about features to look for when purchasing a digital camera, please refer to this article on Digital Cameras. snapchat: This blink-of-an-eye social network lets you customize and share pictures and “stories” among your friends, but you better hurry. Most pictures are only available for up to 10 seconds before they are deleted forever. “Stories,” on the other hand, can be viewable for up to 24 hours, so take your pick!